You can imagine my constrained excitement and hesitation. I was about to watch a movie adaptation of the book that not only got me into science fiction novels, but reading altogether. As an adolescent I was much more interested in playing my mate’s Commodore 128 (that’s an early version of a personal computer/games machine for you young folk) or perhaps trying to do an Ollie on the trusty skateboard. Reading books just wasn’t something that appealed to me. 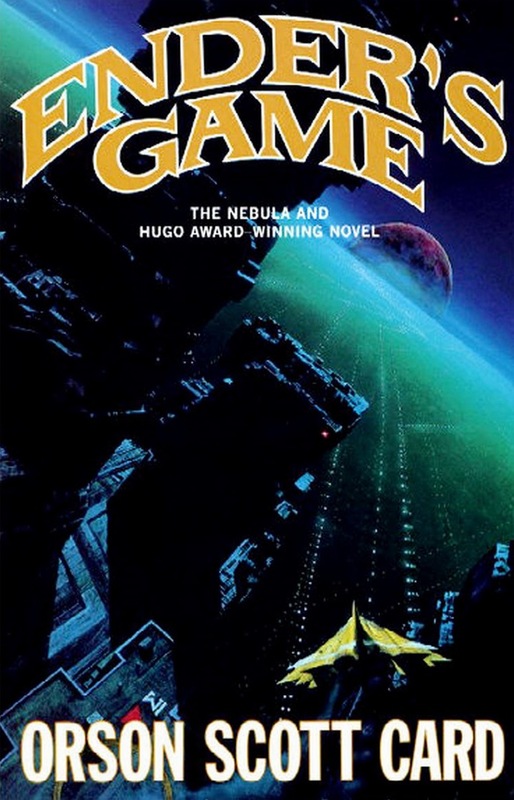 Until I came across Ender’s Game by Orson Scott Card. Here was a book that was simply written yet had great character complexities and just got straight into the story without any fussing about. I guess Orson Scott Card just gets to the point and is not one to ramble on with useless information (possibly unlike what with this review is becoming). So did I enjoy the movie? I would say yes, yes I did, and I don’t want to say what follows next because there is no comparison, so how did it rate as a movie? Firstly I have to say I wasn’t a fan of the soundtrack. I know they are just trying to create an atmosphere but when it’s blasted at your ear drums in typical cinema style and sounds like so many B grade Hollywood movie soundtracks, sometimes a more minimalist approach would be refreshing. 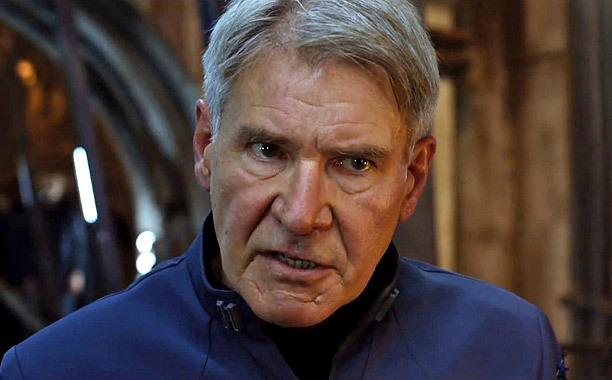 Harrison Ford puts in a solid performance as Colonel Graff. He is an older, grumpy, hardened military type character (possibly playing himself), trying to find a young genius to train and or manipliate in order to save us from an invading alien race. Graff finds Ender Wiggin, a young boy that comes from a family of previous candidates for the position of saving us from the ‘buggers’ (the insectoid type aliens). His older brother Peter turned out to have a sadistic aggressive side and his sister Valentine was deemed too compassionate. With the hope of Ender being the wanted medium of these personalities, the continuous monitoring of Ender’s day to day life and combination of real life tests are orchestrated for him and provide us with interesting thought provoking insights to human behaviour. He seems to please Graff’s ideal of the perfect military leader, and Ender is rushed to battle school where the majority of the story is placed. I found the relationship between Ender and Graff interesting. The way the young boy handles certain situations can be inspiring and the movie does capture some of these moments. The battle school has a zero gravity area where the young candidates engage in team war games and this is re-created well in the movie. The games in the battle arena become the young candidates lives with battles taken part everyday. Ender makes his way through the ranks and is put under astonishing pressure with increasing odds placed against him. The way he handles the pressure along with his way of adapting and creating new ways to win battles are where the book shines and allot of this is missing from the movie. 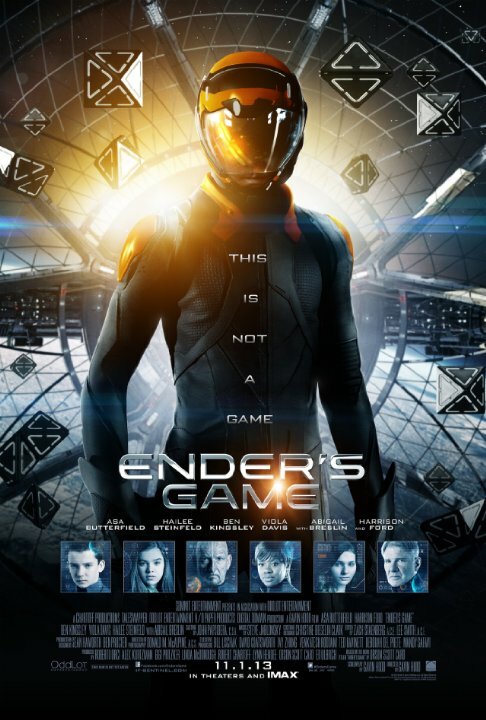 Scenes with open-ended possibilities are included in the movie, which allows the opportunity for movie adaptations of the the continuing novels ‘Speaker for the Dead‘, ‘Xenocide‘ , ‘Children of the Mind‘ and lastly ‘Ender in Exile‘. In my opinion, the sequels improve upon the original novel and I would recommend them highly. In fact, Orson Scott Card has remained a personally inspirational science fiction writer and I have gained quite the collection of his stories over the years. I actually rate some of his other novels as better reads than the “Nebula and Hugo Award Winning” Ender’s Game. As with other great science fiction writers such as Isaac Asimov, Arthur C Clarke and Frank Herbert, items or ideas portrayed in their stories that are science fiction at the time actually become real or science fact. For instance, in the movie, Ender is seen using a tablet device to play an interactive game that closely resembles an iPad. Also, the term email is actually mentioned in the movie but I cannot recall the term used in the book or that the technology existed in the late seventies when the story was first written. So in conclusion the movie would rate a two-and-a-half stars on the Dave’s scale out of five. I would recommend the movie as a nice light entertainment on DVD at home on a Saturday night and not something that is a “Must-Watch-Now-Or-Be-Damned-Forever”. I would however, highly recommend any Orson Scott Card’s novels, as you might expect.